The infamous Ford 4.6 Intech in all its high revving, variable camshaft timing, underwhelming glory, with the enormous 90 degree block that fills the engine bay of the largest of land yachts; can be broken down too and compared with a Honda H23. If the H23 was paired with a Siamese twin at a 90 degree angle at the base it would form the Ford 4.6 Intech. Imagine that Honda 2.3 liter inline 4 for a moment, dual overhead cam, VTEC, high revs put two next to each other and tadaa! Ford did it first. 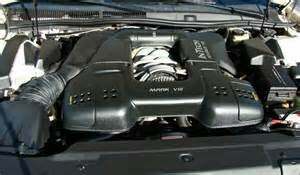 4.6 liters of dual overhead cam, high revving, V8; the Ford Intech 4.6.